Topics: New Vehicles, Schedule Test Drive, and Compare Vehicles. Age: The domain is 20 years and 6 months old. On average 1.80 pages are viewed each, by the estimated 26 daily visitors. 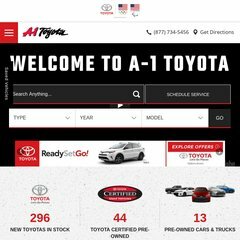 carsct.com CT Used cars - Connecticut&apos;s Best Automotive Website! The Computer Company Inc (Connecticut, Cromwell) is the location of the Microsoft-IIS/6 server. Its 1 nameservers are ns03.domaincontrol.com. The programming language environment is ASP.NET.